Our university chapters are key players in connecting communities through footbridges. Our university chapters develop their values and global understanding through their incredible dedication to their work on bridge sites. Influential networking, personal satisfaction, team building, leadership development, and cross-cultural exchanges are all part of the strong return on investment. We greatly appreciate our university chapters’ work, as their bridges are only possible through their dedication. In addition, we recognize a growing need for globally-minded engineers, and work to nurture young students who will be tomorrow's leaders. 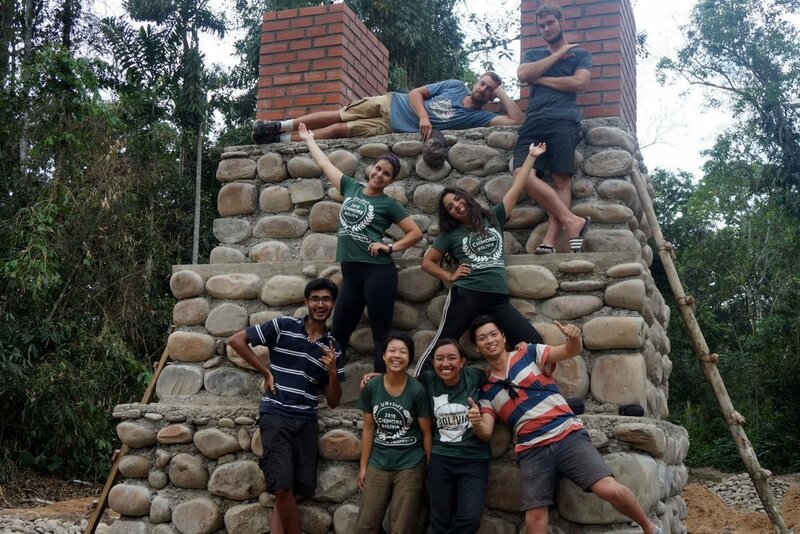 Our university chapters are invaluable collaborators and offer support for communities through fundraising, planning, and construction that make it possible for footbridges to be built throughout Bolivia and Swaziland. Our chapters span cultural and geographical divides, bringing individuals together in the pursuit of inspiration, personal achievement, and global citizenship. Our university chapters send engineering students to the field to build alongside our staff and community members, and to maximize our resources, and in turn, our collective impact.